Superfoods are all the rage these days. From chia seeds to pomegranates, these foods are packed with nutrients and disease-fighting antioxidants that give body and mind a powerful return on every bite. We’ve talked many times about foods you can eat that are good for your skin-you can find those posts listed here. But there are also some heavy hitters when it comes to natural ingredients. These are items you should look for in your products, as each provides a number of benefits that can help you achieve radiant, younger-looking skin. This ingredient does double duty as a superfood and a super ingredient for skin. When you use it in curry to spice up your food, your body enjoys the anti-inflammatory and antioxidant benefits. Studies so far have suggested that turmeric may help ease the pain of arthritis, reduce risk of cancer, and lower the risk of heart disease. Use it in your skin care, and your skin enjoys similar benefits. The anti-inflammatory properties help reduce symptoms of eczema, rosacea, and psoriasis. The antioxidant benefits help protect from sun exposure. Turmeric has also shown in studies to help reduce the appearance of age spots and hyperpigmentation, and to help balance skin oils to reduce acne breakouts. 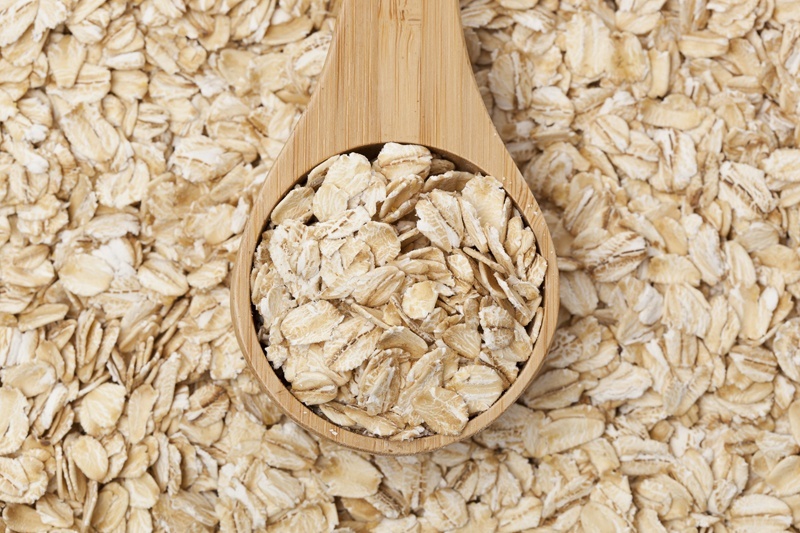 Beta-glucan is a natural compound extracted from oats (other sources include barley, rye, wheat, or baker’s yeast) that helps stimulate the production of “Langerhan cells” in the skin. These are cells that are part of the immune system, and protect the skin from assaults that lead to aging. Over time, however, we produce less of them, and our skin becomes more vulnerable to factors like pollution, sun damage, and bacteria. Beta-glucan is also a powerful antioxidant, which has been found in studies to help reduce damaging free radicals in the skin. It has strong anti-inflammatory properties-great for redness-and was found in one study to help reduce the height and depth of wrinkles. An extract derived from the marigold or Calendula officinalis plant, calendula has a long history of use as an anti-inflammatory and antioxidant. In traditional medicine, it was used to soothe digestive upset, including ulcers and menstrual cramps, as well as to heal wounds in the skin. Today we know that calendula is a natural antiseptic, antibacterial, and antifungal agent, which makes it the perfect natural ingredient for stimulating wound healing. That’s why you find it in ointments and tinctures meant for washing wounds. A 2009 study found that it helped to heal dermatitis caused by radiation treatments. Other studies have found similar results, with participants experiencing less redness and pain when treated with topical calendula. But calendula doesn’t stop there. It’s also got carotenoids in it-as most orange plants do-that help protect from free radical damage and have potential to ease the symptoms of psoriasis and acne. No list of super ingredients for skin would be complete without this natural wonder. A small, spiky plant, it’s been used for centuries to heal wounds, particularly burns. It’s packed full of components beneficial to skin, including amino acids, calcium, magnesium, and polysaccharides. Studies have found that aloe may help treat psoriasis-in one study it performed better than hydrocortisone cream. It’s a great moisturizer, because it’s not greasy, so it works equally well for all types of skin. Because of its anti-inflammatory and anti-microbial properties, it is effective at soothing redness and rosacea, and its antiseptic capabilities make it a good addition to anti-acne formulas as well. This ingredient’s claim to fame is its large supply of omega-7 essential fatty acids, a rare type of fatty acid that is important for collagen production. Collagen helps keep skin taut and firm, and resistant to sagging. Sea buckthorn oil supports healthy collagen, and is also a source of other fatty acids, making it a great moisturizer. With this ingredient you also get a good dose of vitamin A, which helps increase cell turnover and reveal a younger-looking appearance. Natural antioxidants protect from damaging free radicals, and vitamin C contributes to collagen production. A real anti-ager for skin! Today’s discerning customer turns her back on old moisturizers that come from petrolatum and chooses natural-source moisturizers instead. Shea butter is one of the hard hitters when it comes to deeply moisturizing skin. Full of omega-3 fatty acids, it helps to penetrate skin layers to hydrate deep down, while delivering other nutrients like vitamins A and E that fight off free radicals and promote collagen production. Shea butter also contains allantoin, a compound that helps the cells in the skin to hold onto moisture more effectively. Use shea butter for awhile, and your skin will have an easier time resisting dryness. Cinnamic acid in the ingredient naturally protects elastin, which helps skin retain its shape. All this, and the ingredient is still gentle enough to use on babies-perfect for sensitive skin. Derived from coconut and palm oils and glycerin, this is a skin-loving fatty acid that is considered one of today’s most excellent moisturizers and skin-repairing ingredients. It helps encourage the skin’s own repair processes while sealing in moisture, to keep your skin looking soft and smooth all day long. Newer research also seems to indicate that the ingredient has an anti-inflammatory property that can help reduce the risk of breakouts and acne, and is considered perfect for sensitive skin since it doesn’t cause reactions. Finally, it naturally resists oxidation, which makes it safe for a long shelf-life. Called the “medicine of kings,” reishi was used in traditional medicine to rejuvenate body and mind, increase strength, and even extend life. Modern-day research has found that it is a powerful anti-inflammatory, helping to reduce acne and eczema flare-ups, as well as a natural antihistamine that can reduce the risk of allergic reactions. Natural anti-microbial properties kill bacteria on the skin, helping to prevent and heal infections as well as deterring blackheads. It’s been accepted by the FDA as a potential cancer therapy, with powerful antioxidants that may help protect the skin from cancer, as well. It’s known to help enhance wound healing, and was found in one study to help stimulate collagen production. Rosehips come from the rose plant-the seed pods left behind after the pretty petals fall off. They’re a great source of vitamin C, which does wonders for the skin. In addition to encouraging the production of collagen, it’s an antioxidant that protects from sun damage, and a powerful wound healer. Rosehip oil is a good source of vitamin A, as well, so you get the skin regenerating benefits that help renew your appearance. It’s full of moisturizing and plumping fatty acids, and has a reputation for helping to reduce scarring and stretch marks. This powerhouse ingredient comes packed with moisturizing fatty acids, as well as vitamins B, E, and K. Linoleic and linolenic acids are types of omega-6 fatty acids that are key for keeping skin smooth and healthy. A vegetable oil extracted from the bean, soybean oil also contains a number of amino acids that help support collagen and elastin, while promoting the repair of damaged elastin fibers. Antioxidants called “isoflavones” protect against oxidation and inflammation, and early research suggests the ingredient may also help reverse the signs of sun damage. Have you used these ingredients on your skin? Please share the benefits you experienced. R. Pillai, et al., “Anti-Wrinkle Therapy: Significant New Findings in the Non-Invasive Cosmetic Treatment of Skin Wrinkles with Beta-Glucan,” International Journal of Cosmetic Science, October 2005; 27(5):292, http://onlinelibrary.wiley.com/doi/10.1111/j.1463-1318.2005.00268_3.x/abstract. Pommier P, Gomez F, Sunyach MP, et al. “Phase III randomized trial of Calendula officinalis compared with trolamine for the prevention of acute dermatitis during irradiation for breast cancer.” J Clin Oncol. Apr 15 2004;22(8):1447-1453. Fonseca YM, Catini CD, Vicentini FT, Nomizo A, Gerlach RF, Fonseca MJ. “Protective effect of Calendula officinalis extract against UVB-induced oxidative stress in skin: evaluation of reduced glutathione levels and matrix metalloproteinase secretion.” J Ethnopharmacol. 2010 17;127(3):596-601. Anahad O’Connor, “The Claim: Aloe Vera Gel Can Heal Burns,” The New York Times, September 8, 2008. http://www.nytimes.com/2008/09/09/health/09real.html. Gupta A, et al., “Wound healing activity of an aqueous extract of the Lingzhi or Reishi medicinal mushroom Ganoderma lucidum (higher Basidiomycetes),” Int J Med Mushrooms, 2014; 16(4):345-54, http://www.ncbi.nlm.nih.gov/pubmed/25271863.